Snakes are a rather polarizing animal to most people, they are either love them or hate them. For some people, the idea of a big boa constrictor around the shoulders is fun, while to others the idea is terrifying. Perhaps the fear of snakes goes back to prehistoric (or at least Biblical) times. If you're a snake lover, you probably enjoy the idea that your pet is unusual and impressive. Of course, you'll want to give your pet snake a name that lives up to its appearance and behaviors. Snakes make terrific pets, although they are solitary creatures by nature. They don't like crowds or loud noises, so you don't plan on taking yours to the mall or snapping pics with curious passersby. Since they keep to themselves, it’s also wise to keep just one snake per habitat. Snakes don't love being touched and handled, though you will need to do so for about five minutes each day so it grows used to human contact. Snakes also love a repetitive routine, so stick to a regular schedule for feeding, changing their water, and cleaning the tank. While there are numerous types of snakes to choose from, consider the corn snake, ball python, and kingsnake, as they make good pets. Be prepared for a long relationship, as ball pythons can actually live for 20 to 30 years! Here are some wild and wonderful snake names. Choose wisely, as you'll be living with the name for a while. You may notice that most of these names are associated with evil actions, as is the serpent in the Garden of Eden. While snakes are mysterious and unique animals, however, they are no more evil than your run-of-the-mill house cat that hunts both for food and for fun! Asmodeus: A biblical demon, Asmodeus is also an evil snake in the young adult Redwall books, written by Brian Jacques. Basilisk (or Basil for short): A legendary giant snake, sometimes pictured as being killed by St. George, and is one of the villains in the book Harry Potter and the Chamber of Secrets. Jafaar: The villain in the Disney version of the Alladin story, Jafaar turns himself into a terrifying serpent. Jormungand: A sea serpent from Nordic mythology. Kaa: A character in Rudyard Kipling's Jungle Book (and the movies of the same name). Medusa: While not a snake herself, Medusa was a character in Greek mythology who had snakes in place of hair. Nagini: Nagini was both pet and servant to the evil Lord Voldemort in the Harry Potter series. Rainbow: The Rainbow Snake, according to some African myths, was the creator of all human beings. Snakes are long, thin, mobile animals that can move quickly and coil themselves up without the need for feet, legs, or hands. They range in color from greens and browns to brilliant stripes of white, coral, and yellow. With all that in mind, here are some fun options for names. It's easy to create punny names that build on snakes and their behaviors. It's also fun to give snakes "opposite" names (like Fluffy) that make people smile. 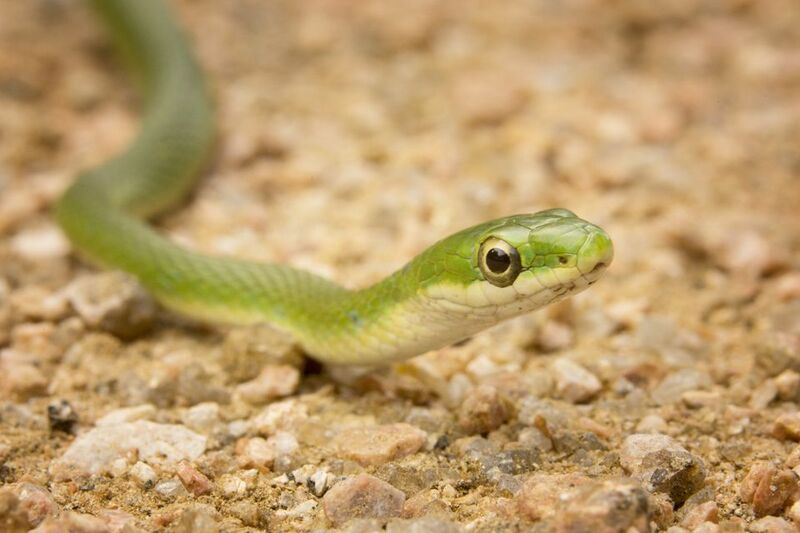 Here are a few of the silliest and oddest snake names. If you're a snake owner, you know that every type of snake has its own personality and every individual snake is unique. Choose a name that relates to the type of snake you own. For example, if you own a corn snake consider "Kernel Mustard" or "Cornucopia." For a king snake, how about George the Third, or Rex? Milk snakes are especially easy to name, with options like Magnesia, Miss Moo, and Moodonna. Consider a name that reflects your pet's personal qualities. If he's especially active, consider Thrasher or Flip. If she's talkative, think about Miss Hiss or TongueTwister. Have fun discovering the right name!